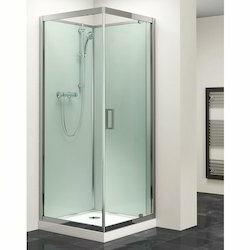 Pioneers in the industry, we offer shower cubicles from India. In order to cater the client’s needs, we are involved in offering a technically advanced array of Shower Cubicles. These services are rendered using high-grade inputs under the direction of experts. Offered services are highly credited for their promptness, flexibility, cost effectiveness and reliability. Looking for Shower Cubicles ?